While the difference between a writer and an editor is clear — writers produce content and editors revise it — the difference between an editor and a copyeditor is a little more nuanced. 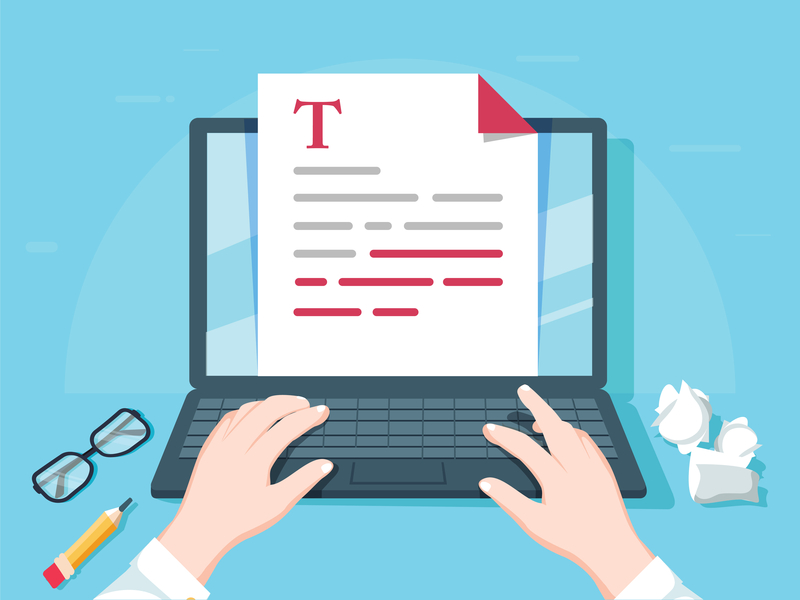 Editors make improvements to a piece’s content, typically in collaboration with the writer, whereas copyeditors make corrections and improvements regarding a piece’s grammar, punctuation, accuracy and formatting. The argument can be made that the average reader won’t notice minor details like that, and hiring a copyeditor is an overhead cost that doesn’t bring in clear ROI. However, just because their value isn’t tangible doesn’t mean their work isn’t worthwhile for your business. Mistakes illustrate a lack of care. If you’re not being meticulous, you’re indicating to the readers that notice your errors that you didn’t bother to double-check your work. Errors may even lead site visitors to abandon your website before they get to know what you’re all about. A report by the BBC in 2011 found that typos could be costing millions. On one site, they found that the revenue per visitor doubled after an error was corrected. The cost of typos isn’t just hypothetical. An eBay seller lost about half-a-million dollars when they listed a bottle of “Allsopp's Arctic Ale” as “Alsop’s Arctic Ale.” The typo prevented collectors from discovering the auction. The bottle was purchased for $304 and then immediately resold for $503,300 when listed under the properly spelled name. 2. Copyeditors help contextualize content in the buyer’s journey. Copyeditors don’t just proof existing content, they think about how all your content works together. A writer focuses on the message of the individual piece of content they’re creating. When editing, part of a copyeditor's job is to examine how the reader got to this piece and where they’re going next. Copyeditors can look at conversion paths and next steps to determine if appropriate CTAs are being used. They also will ensure the language driving conversions is consistent sitewide. You don’t want to contradict yourself from webpage to webpage, and copyeditors make sure the reader experience stays consistent. 3. What’s being said differs from how it’s said. When you’re writing, the rules are secondary to the topic itself. First drafts tend to be written as the writer thinks through the piece — and they read like that too. The focus is on whether or not the message is conveyed coherently, not whether or not the capitalization or hyphenation is consistent. Those smaller details are important for the end reader. If they’re stumbling over grammatical errors or inconsistencies, the reader is going to have trouble absorbing the message. However, for the writer, there’s no point perfecting those details framing the message if the message is poorly communicated. Writers don’t want to agonize over how ending punctuation needs to be used in a bulleted list if they might end up deleting that list entirely. The creation of a piece and the perfecting of it are different steps of the writing process and need to be done by two different people. The writer’s job is to think through the value of the message and what’s being said. The editor’s job is to analyze how it’s being said and ensure it conforms to your organization’s rules. 4. Copyeditors add a perspective checkpoint. It’s difficult to see something you’ve already overlooked. Once you’ve written something and read over it once, it’s very difficult to catch mistakes you missed in that readthrough. You could have an obvious error like “the the” in a sentence from when you restructured a paragraph, but once you skip over it the first time, your brain will continue to do so because your brain is focused on other aspects of your writing. However, a mistake like that would be obvious to someone reading the piece for the first time who has distance from the creation of the piece. The way pitchers view the curve of their ball is different from how a catcher sees it, and the way a writer examines their own work is different than how an editor will. It’s hard to be objective about your own creation. Copyeditors can also pick up societal nuances that you might not be aware of. That can range from language-level errors like a writer using the British form “towards” instead of the American “toward.” Or, it could be more implicit, like textbooks that use men as all of their fictional STEM characters and females for their more artistic scenarios. In both those cases, the writer may not be aware they did anything wrong because of their internal biases. They may not be able to put into words why the second seems wrong, but they’ll feel that inconsistency. It’s similar to when you visit a poorly designed website: you may not be able to explain what’s wrong with the website, but you know the UX isn’t optimal. Small inconsistencies in your writing can detract from the reader’s experience and weaken their understanding of the information you’re trying to convey. 6. Copyeditors encourage growth and skill development. Through editing, you’re going to improve as a writer, and through writing, you’ll improve as an editor. Part of the goal of the relationship between writers and copyeditors is growth. Just as they pay attention to patterns across your entire brand, copyeditors also pay attention to patterns within a writer’s work. If a writer is consistently making the same mistake, like mixing up “number” and “amount,” a copyeditor can point that out so the writer can learn. The writer-editor symbiotic relationship will add value to your company because both participants will improve their craft through their interactions with each other. You’ll then have more effective employees on your team. 7. Your site is a portfolio for your company. You want to look like you know what you’re talking about. Especially if you’re selling content, your content needs to be impeccable. But even if content isn’t part of your product, you never know what’s coming down the line or when you’ll need to reuse copy. You should have your content ready at any time in case you want to apply for an award, speak at an industry event or re-publish a blog post on another site. Your content should already be in a good place. You don’t want to have to reinvest resources into perfecting it. Your copyeditor doesn’t have to exclusively be a copyeditor — they could be a writer or SEO team member who does copyediting tasks. But if there’s no one filling the designated role, feedback mechanisms need to be built into your content creation process. At New Breed, our writers take turns editing each other’s work so every blog and PCO has at least one other set of eyes on it before it’s finalized. It’s important to have someone other than the writer review each piece before it’s published, regardless of who that other person is. Ideally, the editor would have training in writing and be familiar with your clients, but even if they don’t, they still catch things the writer might not. Even the best editors need editors. Having a step in place for internal review is an essential part of the writing process. Depending on the volume of written work you’re creating, it might be better to have someone whose sole focus is copyediting though. While you don’t want copyediting to bottleneck the process, it’s beneficial to have a single person accountable for the quality of the published work. Copyeditors can provide a final seal of approval to make sure everything is up to par, whereas it’s very likely even the most impeccable writer will still overlook errors in their own work. Everyone has at least one amazing, evergreen piece of content we’re so proud of.